Google's next Nexus 5 smartphone is edging even closer after yet another image appeared showing the case for the LG smartphone. 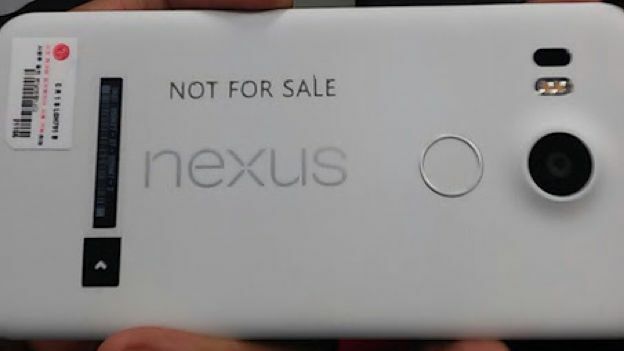 The latest picture leaked out by Inno Yudha on Google Plus shows the backside of the LG Nexus 5 2015 handset complete with the trademark branding the line is known for and a range of different circles. One of the two circles is of course the camera whereas the other is reportedly a fingerprint sensor that is being added by Google to coincide with its reported inclusion as part of the Android M operating system. Beyond those two circles it has a white colour scheme and this all matches up with renders that peeked out over the weekend and were used to create a video mock-up of what the smartphone will look like. The weekend renders claim a 5.2-inch screen, USB-C port and dual stereo speakers will be on the spec sheet for the device and given these have been mentioned more than once since the rumour mill kicked in we can expect them to be a part of the device. LG and Google have been completely tight-lipped over the new smartphone's existence and it isn't the only Nexus featuring heavily on the rumour pages. Huawei is also reportedly working on a smartphone in the phablet mould that will be the successor to the Nexus 6. It's anticipated that both smartphones will be released at some point in October-November and the rumours will ramp up over the coming weeks and months.